Could Your Automatic Payments Hide Your Death for SIX YEARS? Home › Finance › Could Your Automatic Payments Hide Your Death for SIX YEARS? One woman’s automatic payments hid her death for about six years. Could your bank account handle that? Recently, I read an article about a woman who had been dead for six years, but no one noticed because her automatic payments came out of the bank like clockwork. When the bank account finally ran out of money, and the mortgage lender foreclosed on the house, she was discovered. Part of the reason her neighbors didn’t come forward was that she traveled frequently, staying away for weeks or months at a time. During 2007, someone did question her habits, but a welfare check didn’t yield anything out of place. A neighbor mowed the lawn regularly, and all of the woman’s bills were paid automatically, so there wasn’t a lot of concern. If automatic payments weren’t part of her finances, the situation probably would have been uncovered much sooner. What stood out to me, though, was the fact that this was a person whose bank account could withstand SIX YEARS of automatic payments without missing a beat. Would Your Bank Account Last Six Years? 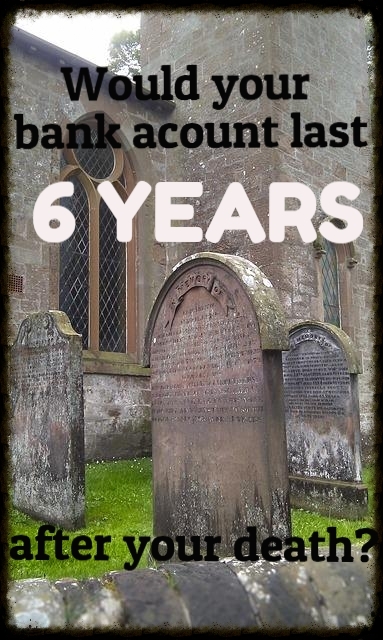 Of course, we don’t know if her bank account really lasted six years. Some of her service providers might have cut her off, and creditors might have written off some of her obligations, if she had any. Additionally, foreclosure is a process that takes a long time to resolve. The bank wouldn’t have even started the foreclosure process until after she had missed three months’ worth of payments. It’s quite possible that her bank account gave out after four and a half or five years. In any case, her bank account lasted for a good long time before running dry and raising red flags. Another thing I wonder about is whether or not she had passive income. Perhaps she had dividends and/or interest being paid into her account, or some sort of pension or business income. That would have extended the life of her bank account, allowing for the automatic payments to be taken out for such a long a period of time. After reading the article, I started thinking about my own finances. I’m pretty sure that my bank account wouldn’t last for six years, largely due to the way I manage my cash flow. I don’t keep a lot of money in my bank account to begin with. One of the great things about automatic payments is that you don’t have to worry about remembering to pay. From the satellite TV bill to my gym membership to the produce delivery, most of my bills are handled through automatic payments. My retirement account contributions, emergency fund money, student loan payments, and mortgage payments are all automatic. On the one hand, it’s a great way to ensure that my bills are paid on time. However, I still need to be careful about cash flow management, since my variable income means that the timing of the money isn’t always the same each month. 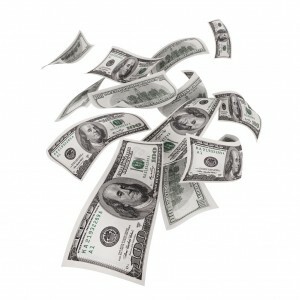 This cash flow issue is one of the reasons that many of my bills are attached to credit cards. Instead of worrying about whether a client’s late payment is going to impact the amount of money I have available in my checking account, many of my bills are charged automatically to a credit card. That way, I know there’s always enough for the mortgage in the checking account. Later, after I’m paid, I can pay off the credit card. While there are some pitfalls associated with automated finances, I find that it’s a great help to me in terms of managing cash flow. It’s even more helpful when I’m out of town. The real issue with letting my bank account manage automatic payments for six years after I pass on, though, is that I don’t keep much of a cushion in my checking account. The money comes in, and much of it goes out again. My emergency fund is a taxable investment account. My retirement account is growing. And, of course, I pay off my credit card spending. When I consider the credit limit on one of my credit cards, it becomes apparent that I could pay my gym membership automatically each month for close to seven years before something went amiss. Of course, the credit card issuer would have something to say about my missing payments. After six to nine months (or perhaps after less time), the card would probably stop working, with the creditor closing the account and turning it over to collections. Due to the nature of my financial management, my death would likely be discovered within a year. What about your finances? How quickly would your death be discovered, if its discovery depended entirely upon your finances? 12 Responses to Could Your Automatic Payments Hide Your Death for SIX YEARS? Definitely not. I have a zero based budget so if something were to happen to me, payments would start bouncing a week later. That’s a good distinction to make. I like how you point out the difference between what you set up and what others set up. I find automatic payments very convenient — and I find it oddly comforting to know that my bank account would run down well before six years passed. I don’t do a ton of auto payments. I prefer to be more involved and know where my money is going and when. I think all those auto payments just let you ignore your money which is silly because ignoring money causes a lot of problems. I agree that it’s important to be involved with your money. It’s one of the reasons that I am careful to use PF software that requires manual entrance of many of my transactions. My software looks like a ledger, and, even though I use auto payments to help my cash flow and allow convenience when I travel, I reconcile my account statements each month so that I’m personally involved. I just felt so sorry for the poor woman that no one cared enough to miss her. I wondered about that, too. She had family abroad; maybe they had had a falling out or something. I thought it interesting that someone did call for a well check at one point, but after nothing was found, they must have stopped worrying. Seems like this women had her finances in good shape. Having 6 years worth of reserve is something I am aspiring towards. I agree that she had a good reserve, although I question whether or not a bank account is the most efficient place to keep that much money. You should be able to get a better return keeping it elsewhere. Hawaii must be looking out for my survival. I have to manually pay my property taxes twice a year, and the online payment system has a huge convenience fee. It’s about the only time I write a paper check and use a stamped envelope! I can easily see this scenario happening for anyone with direct deposit pensions or annuities (like Social Security) and a good auto-pay system. However I wonder what happened to her U.S. postal mailbox… and her tax returns. Hmmmm…Good point. I wonder how long it takes until the mailbox becomes to full. Or if she kept a PO box because of her current travel, and they just didn’t worry about it.